The docking complex is one of the most important components of the production facilities of Zaliv as far as particularly here the main works on large capacities shipbuilding is concentrated as well as execution of ship-repair orders. And the fact that in the graving dock (length of 364 m, beam 60 m) the removable intermediate bulkhead is available allows to use it as two-chambers one, securing in this case the execution of several independent works. By the information provided from the department of the chief engineer of the yard, the matter of reconstruction of the graving dock escalated long ago. On July 19, JSC Shipyard Zaliv signed the agreement with Norwegian company Bergen Group ASA for purchase of its shipbuilding assets (yards Fosen & BMV). Parties agreed that at final settlement of this transaction, amounting to $ 18,2 mln, Zaliv will become the owner of 51% of shares in the new shipbuilding company wherein abovementioned Norwegian shipbuilding resources will be included. 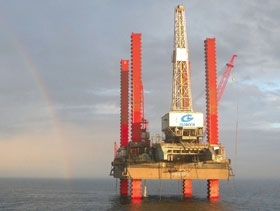 Shipyard Zaliv has accepted for repair of cantilever jack-up floating drilling rig "Amazon" (length 50 m, width 37 m, depth 5,8 m, shipowner JSC "Gazflot", Russia). On May 31, 2013 at Shipyard Zaliv the launching from the dock of Offshore construction and well intervention vessel "Polar Onyx" (project SX121, length — 130,0, beam — 25.0 m, depth — 10,0 m) built by the order from Norwegian company Ulstein Hull AS. The action "Success of the Year" in Crimea initiated by the Council of Ministers of Crimea allows to determine the best of the best in various spheres of life of the peninsula and it is a kind of recognition of the contribution of citizens and labor collectives into the socio-economic development of Crimea. 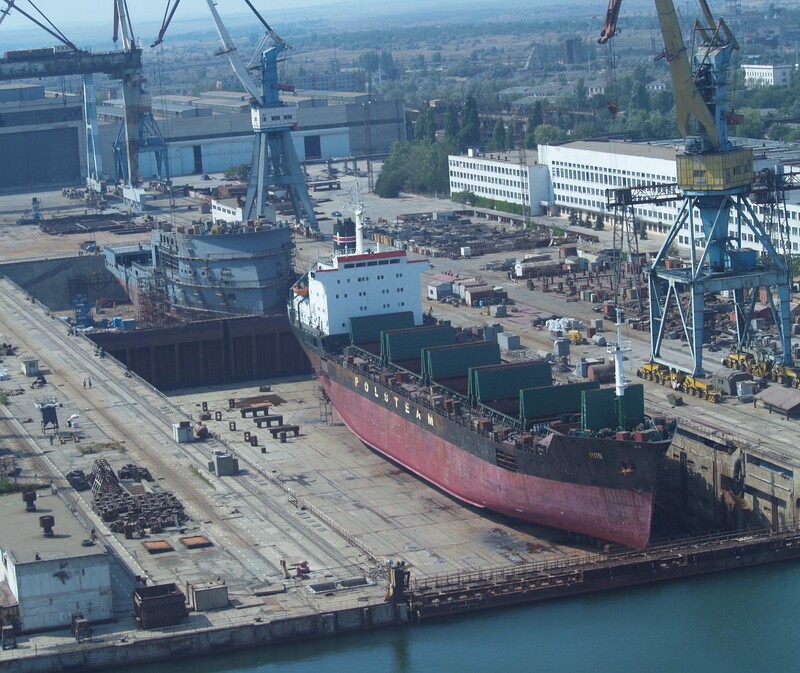 At April 15, 2013 the general meeting of shareholders of JSC Shipyard Zaliv took place. Shareholders listened to and approved the report of the General Director of the Society about the results of financial and economic activities in 2012, the report and conclusions of Revision committee and the report of Supervisory Board. Also the financial results of Society were examined and approved, as well as annual reports. 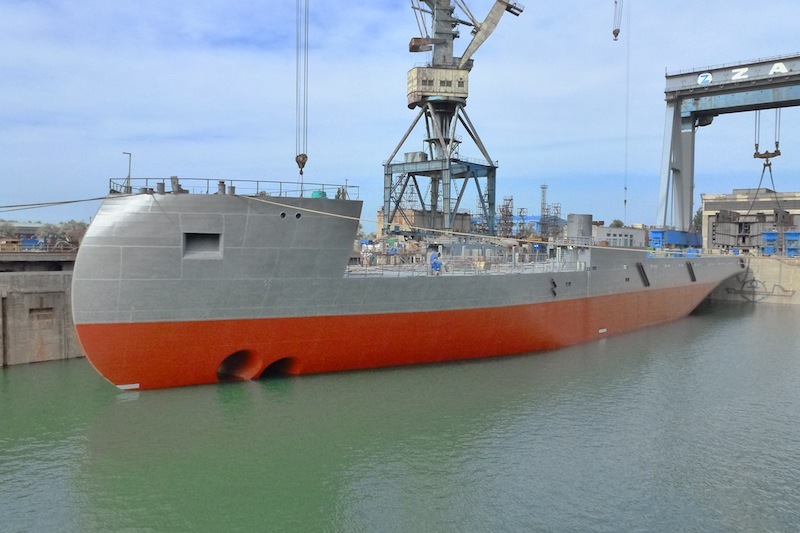 A solemn launching of the next shipbuilding order has taken place at Zaliv shipyard on March, 19. The platform supply vessel Blue Protector ( project PX121, LOA -83, 40 m, beam – 18 m, Moulded depth – 8 m., launching weight of the Hull is 1 818 t.) became the thirteen in succession from the series of offshore vessels built over the last six years for Norwegian company Ulstein Hull AS.